Membership fees are due to be paid by 28th February annually. You will be pleased to hear that we are not increasing membership fees for 2019. You will need to make sure you have paid by 1st April 2019 otherwise a £10 per month late payment fee will be added if payment is not received by this date. A student is in full-time or further education i.e. at college or university who is under the age of 25.
additional dinghies - £43 per boat any loss or damage to members property. You must be a member to store your boat at the club. Also take a look at our Useful Information and Documents page. 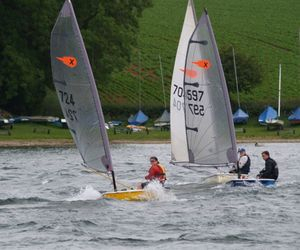 We are an RYA Joining Point - Click here to go to the membership section of the RYA website.